The Guinahuan island is one of the island destination on the group of islets north of the Caramoan Peninsula and is one of the farther islands from the docking ports of Barangay Bikal, the usual jump-off for the island hopping itinerary on this peninsula. 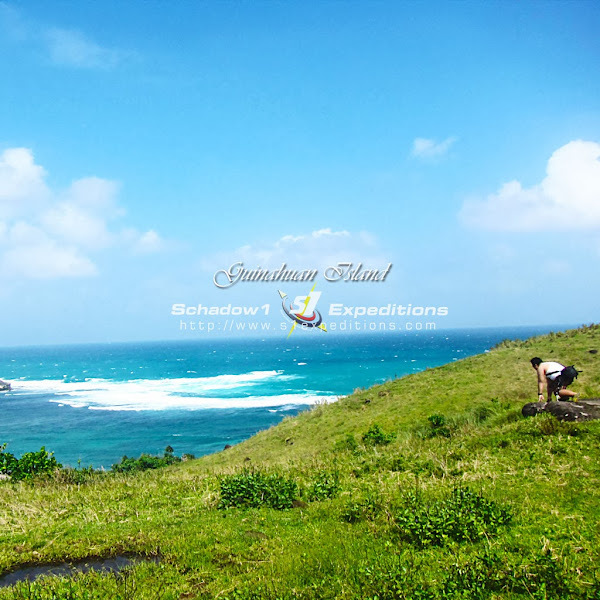 The island features a wide grassland and rolling hills to where you can trek up to its highest point to where a lighthouse stands and see the view of the islands from above. 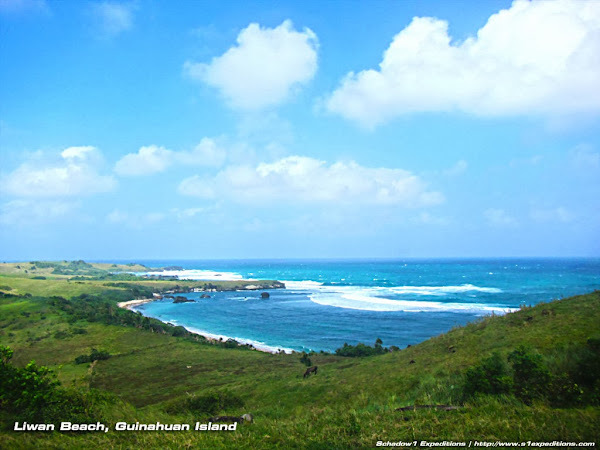 The Guinahuan island is right beside the Lahuy Island, the largest island in the group of islets among the Caramoan. the usual docking port of this island is its southern part where a residential area resides. 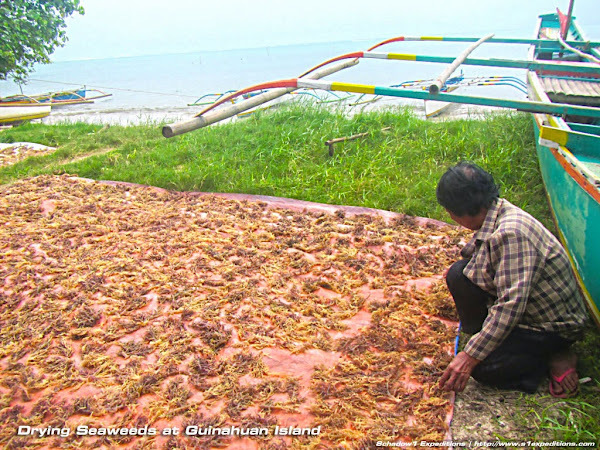 The people of the village rely on fishing and seaweed farming for their livelihood. 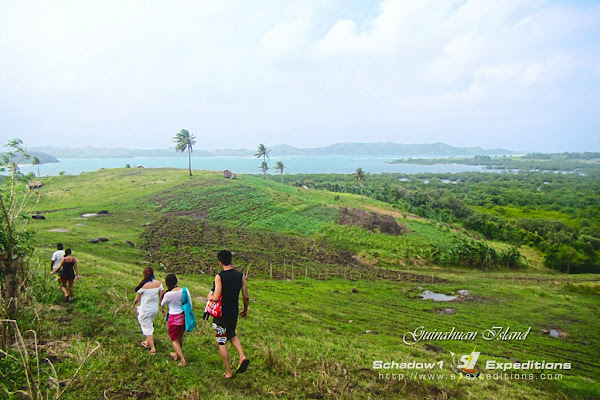 At the back of the residential area is a wide inhabited area with grasslands, grazelands and rolling hills to where you can use a short trek towards its highest point so you can be amazed with the view of the Caramoan Peninsula. 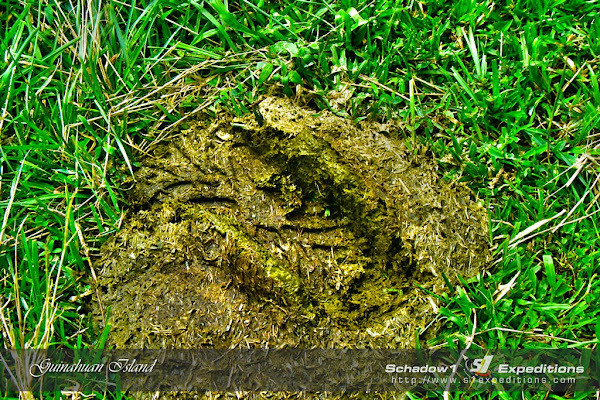 Be wary because the area is a graze land, cow surprises are every where so watch your step! 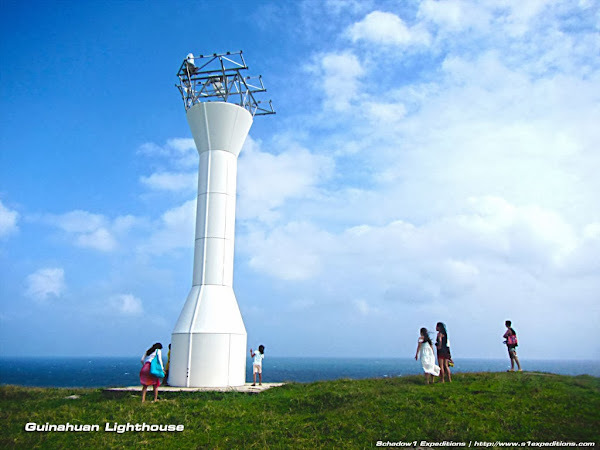 At the top of a hill is a lone modern lighthouse to which you can trek for a few minutes to have your photo sessions. 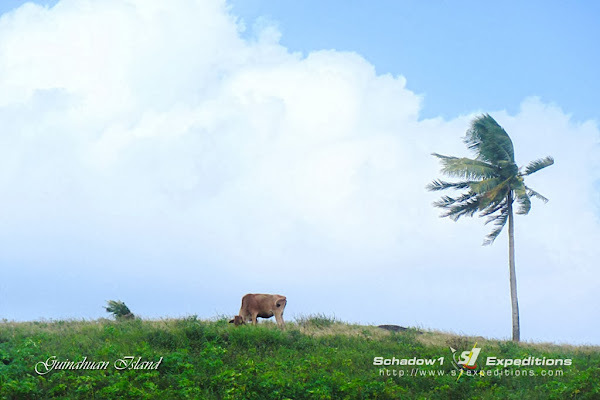 The top of the hill is a scenic location for you to be with nature and enjoy the winds coming from the pacific ocean and see the islands scattered around the Caramoan. Traversing the hill to your north down below is Liwan Beach. A golden sand beach facing the Pacific Ocean to which you can do your usual beach bumming and meditation as only a few people gets to this beach as it is only accessible via trek to the hills. Small boats could not go around to the north side of the Guinahuan Island towards Liwan Beach as the waves are always strong. Back on the village you can purchase fresh fish to which you can grill on the nearby island of Cotivas which is usually a lunch stop for island hoppers. A tanigue fish as big as 2.5 kilograms costs P250. Sari-sari stores (variety stores) are also within the village for you to buy ingredients and condiments for your lunch. The Guinahuan Island is one of the northenmost islands of Caramoan and can be reached via an island hopping fee of P2500 through a six-passenger boat. You may negotiate directly with your hotel for the itinerary or you may contact our boatman who has been very helpful with our mapping expedition. You may contact Jonald Cordez at +63 (929) 1112131. Our visit to the Guinahuan Island is part of our mapping expedition of the Caramoan last December 26-30, 2013 in our advocacy to assure that a Filipino must not be a stranger to his own motherland. I so agree that a Filipino must not be a stranger to his own motherland! Thanks for this post! I enjoyed Caramoan too, especially the views at Guinahuan Island.